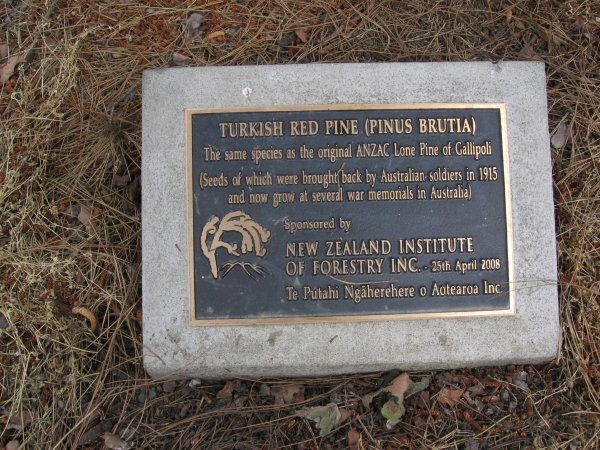 The story of Turkish red pine in New Zealand is a confused but interesting one. The following abstract from The NZ Journal of Forestry sheds some light on the origins of many trees considered to be associated with the famous Lone Pine of Gallipoli. 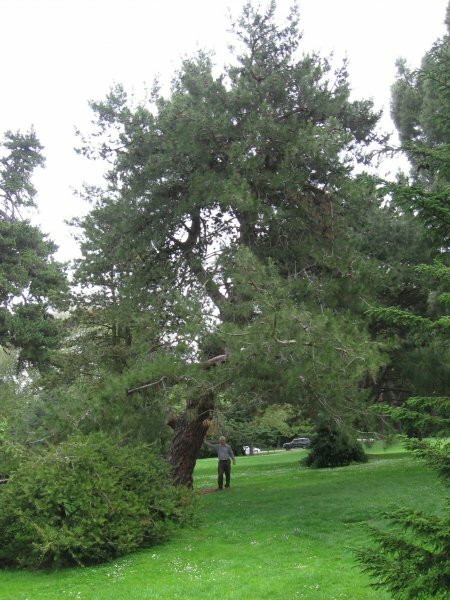 The authors considered this tree in the Christchurch Botanic Gardens to be the best of the species in New Zealand. 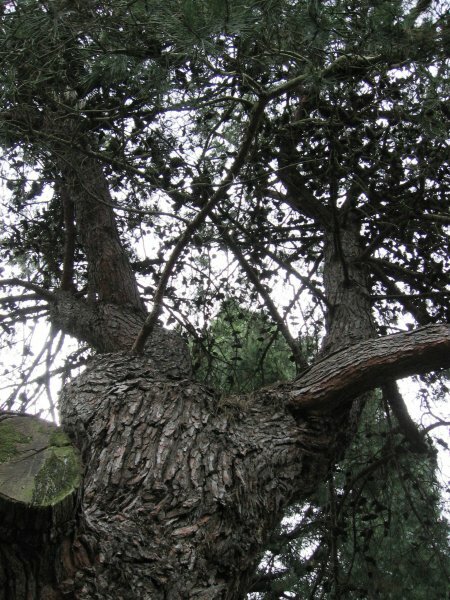 The publication of the article subsequently brought more information to light to reveal that this tree was also considered a direct descendant of the famous tree which marked the Lone Pine Battle at Gallipoli (Cadwallader 2012). 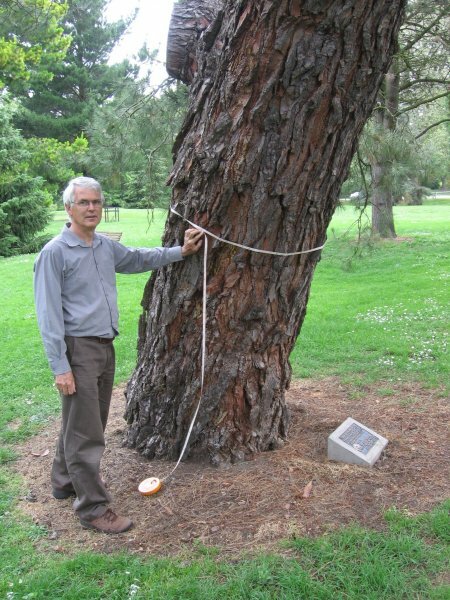 Read more about the plaque unveiling for this tree and the history of the original Lone Pine (accessed 06.04.2012). In good health although a large limb has been lost in recent years (2011). Divides into two main stems at 4 m.
12 Dec 2011 Cadwallader, B.G., Ecroyd, C.E. Within the pinetum a short distance from the tennis club car park.